Man cave flooring – Important? I gazed upon my man cave flooring and all I saw was filth. What on earth do you put on the floor of your man cave? Man cave flooring is vitally important yet it is also one of the most complicated decisions to make. Do you want your floor to be rugged and able to withstand a lot of beer spillages and cigarette burns? Do you want it to be soft, warm and inviting to bare feet? Perhaps you would like a wooden floor with rugs scattered about the place or just a wooden, nicely polished floor? The types of flooring are endless which makes the decision a very hard one to make. The first thing to consider is what your man cave will be used for the most. If your man cave is just a retreat for you and few select friends who are, by and large well behaved, then a classy polished floor or one with an nice shag pile carpet may be just the thing you are looking for. But if you plan on making your man cave the go-to place for watching the big game and drinking copious amounts of beer well into the night, then maybe something more rugged and easy to clean would be your preferred choice. You have to clean your man cave. Choose a floor that can be cleaned by men. Just remember this, your wife or girlfriend will not be cleaning your man cave, or indeed you man cave flooring. Not unless you have an understanding that precludes any interference with the decor and ambience of your man space. So you will be the one that will have to get down on your hands and knees scrubbing out beer stains for hours on end if you get this decision wrong. It would be wise to learn about the creamy stuff that makes things clean and removes stains at this point. Keeping your man cave flooring clean is essential if you want your friends to return. 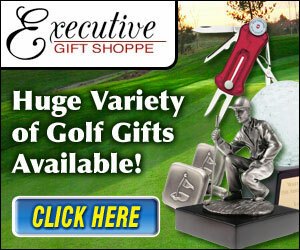 Check out our recommendations for gifts for men, man cave gifts and accessories. We have scoured the internet so you don’t have to.